Post office directories tell us that Bebside is a township in the chapelry of Horton; and this we are quite inclined to believe, as the old church of Horton, which gives ecclesiastical law (if there is such a thing as ecclesiastical law now-a-days) to a very extensive district, is within easy distance of our colliery village. The same directories, however, tell us that the population of Bebside in 1861 was 53, and in 1871 only 56. But this we are not inclined to believe as Bebside for well nigh a score of years has been a prosperous colliery village. 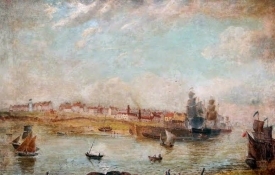 The solution of this apparent mystery lies in the fact that Bebside is not Bebside; it is near the township of Bebside; it has, as it were, sat down on the fringe or tail of Bebside’s coat; and Bebside being peaceable and unresentful of the affront, as of the general undermining of its constitution, has had its name taken from it, and has gradually lost its identity in all the devouring blackness of the spreading pit heap. 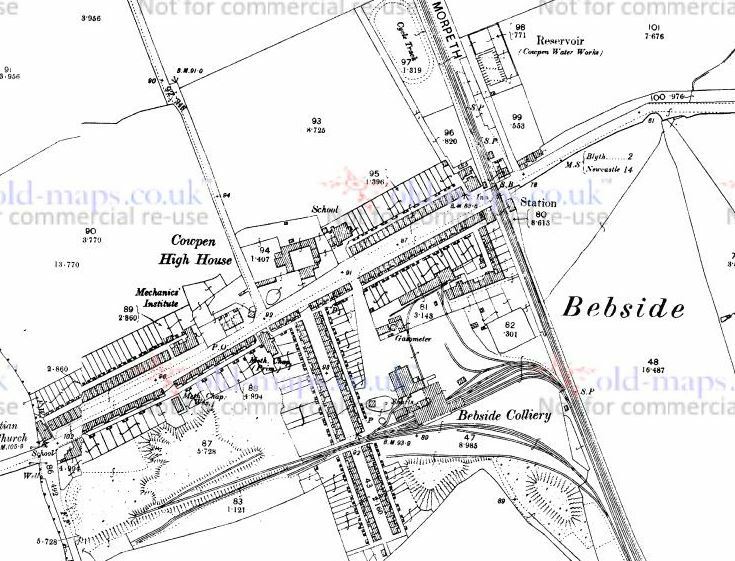 The truth is that Bebside is really within the boundaries of Cowpen, and during its infancy was known as Cowpen Lane. Now, however, it has changed its name, and to the general public is known only as Bebside, a name of which it professes to have no reason to be ashamed, for it is a respectable, well-conducted, middle-aged colliery village with a history yet to make, and it feels incumbent upon itself to make its history quietly rather than in a boisterous, stormy manner, quite content that its deeds should be gathered rather from its big figures in coal trade reports than from frequent paragraphs in the daily papers. 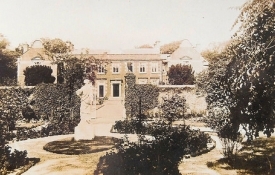 The Lord of the Manor is, or was Mr. Robert S. Mansell, and it is to his credit that he allowed the colliery owners to obtain the royalty without any of those vexatious conditions as to shops and chapels which many of the greater magnates of the county have seen fit to impose. The Bebside royalty is now worked by the Bebside & Choppington Coal Company, and the company may deem itself fortunate in these golden days of the coal trade to be possessed of two such steady-going concerns. Indeed, Bebside has ever been a decorous and well-conducted pit even since the days when it threw off its swaddling clothes, and walked abroad, or rather sent its coals abroad as a colliery giant. The Bebside keeker, who knew the place when it was covered with green grass instead of with coal dust, avers emphatically that the average output of Bebside since it first commenced to work coal in 1855 has been as good as that of any pit in the county. Of late years however, it has been overtopped by Cambois, though it still raises upon average something like 1,100 tons per diem. This is from two shafts, however, and 400 stalwart hewers are employed to work that quantity from the Plessey, Low Main and Yard seams. The pit does not make a great deal of water, and the powerful pumping engine employed is only required to work about fifty hours per week to keep the flood within bounds. The winding engines are powerful and well adapted to the work they have to perform. Like many more winding engines in the district, they were erected by Murray, of Chester-le-Street, and the double horizontal engine used for the upper seams is a model of smooth motion and cleanliness, its bright parts being emery clothed and frosted to perfection. Near the pit heap are the colliery workshops, were joiners, smiths, farriers and other mechanics find constant employment in attending to the repairs required by the machinery, horses and permanent erections of the pit. Near these again are the offices and houses of the officials, at right angles from the Blyth & Tyne Railway, and round the corner facing the line another short row of comfortable looking houses with gardens in front. In fact these houses overlook the station platform, which of late has been greatly lengthened, in accordance with the usual policy of the Blyth & Tyne Railway Company, which delights to be liberal of platform accommodation, even at the expense of its waiting room space; the proportion being, as we have before remarked, waiting room for fifty – platform for five hundred. Leaving the station, we have on our right the portly Bebside Inn and upon our left the Co-operative Store, while the remainder of the village spreads itself out along the roadside towards Bedlington, from which ancient town it is but a mile and a half distant. The society which now holds the store is only in the sixth or seventh month of its existence, the old society having had to wind up its affairs through the carelessness or dishonesty of its manager. As good an arrangement as possible was made with various merchants to whom the store was indebted, but the new society upon its formation undertook to refund to the proper shareholders the money they had lost by the previous venture. The House accommodation of Bebside is much above the average, and there are few, if any, colliery villages in the district which are kept so clean and neat. The houses in the lower end of the village, in what are known as the front rows which face each other, with the turnpike between, contains each two rooms, viz., one on the ground floor and one above which is called, and makes, a comfortable bedroom, though it has no fireplace, and is only accessible by the old-fashioned dangerous ladder. Each house has a pantry behind, which is rather too small for the beef-eating requirements of the present day, and it may be noted as one of the peculiarities of Bebside that all the houses have little backyards, formed by the erection of wooden palings within which coals are kept, so that one of the great eyesores of the colliery district has no existence here. Each house has its privy and ashpit also at the rear side and as everything offensive is kept out of sight, and carried away by the drainage, the backs of the stone rows of Bebside are in striking contrast to those of its many neighbours. If so much pains is taken to keep the hidden places of the village clean, we need not be astonished to find that the front side of the rows is more brilliant still, and the condition of the doorsteps and windows makes it appear as though there were a constant competition going on among the good wives of the place as to who should have the whitest or yellowest door steps, the cleanest windows, the most stylish window hangings, or the reddest of red brick kitchen floors. Further up the village the houses come to an end at the right-hand side eof the road, and opposite is a long street-like row, or rather two rows standing vis-à-vis, known as the West Row, the houses in which are of the same stamp as those already described. On the left side of the road the houses run up some three or four hundred yards further, and from the West Row to the top are much larger than the ones we have just visited. They are termed double houses, and contain four rooms each, one on each side of the front door on the ground level, the upper rooms being similarly placed. These are excellent houses and if one of the upper rooms were provided with a fireplace, they would be very complete, and indeed, as the auctioneers day “highly desirable” residences for working men. The sanitary arrangements are also excellent, and some of the kail gardens behind are in a high state of cultivation, though the men of Bebside don’t seem to go in for flower or vegetable shows. At the high end of the village new houses are in the course of erection and fifty in all are to be built there. At the same time a mechanic’s institute is to be erected as a substitute for the single room at present in use, and it will be of a most complete description, providing not only for library and newsrooms, but also for a lecture hall in which public meetings may be held. The colliery schools are large, well ventilated and pretty well attended. The Boy’s School at the extreme west end of the village, is divided into two compartments – one for junior boys and one for those who are more advanced. In the higher section, the head lad, who says he is twelve years old, is working out a sum in algebra, while his right-hand supporter, aged ten and a half, is working out one of those mysterious mathematical problems wherein the ages of different individuals are to be discovered from the age of some other individual who is an entire stranger to the remainder of the family. These two young mathematicians seem quite able to grapple with the figures before them and their advancement says much for their regular attendance and for the teaching capabilities of their mentor. The girl’s schools are sub-divided in a similar manner but we had no opportunity of observing the proficiency of the girls in anything save knitting and sewing, branches of learning in which many of them seemed to excel, if we might judge from the quickness with which needles were manipulated. These schools are used on Sunday as the meeting place of the Wesleyans in the village; but the more active Primitives have a comfortable tabernacle at the opposite side of the road where itinerant or local preachers hold forth to a considerable congregation. The caller is also an institution in the village, and like most of his class makes a noise in the world. 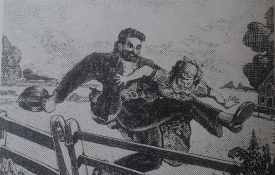 Until lately he was a special constable; it is a constant subject of regret to him that he has lost the responsible situation, as he is now without any “legal authority” to force men and boys out of bed in the morning. He used to describe himself as the “Grand Authority” of the village but the abolition of special constables has shorn him of much of his ancient grandeur. Still, he thinks no “small beer” of himself, he is lord paramount on the pit heap at night, and in the early morning he goes his rounds thumping and shouting with much vigour and effect. He pooh-poohs the claim of the Netherton “knocker” to the championship, and as soon as he is in funds will throw down a bold defiance to that individual, feeling confident that his power of lung is sufficient to counterbalance any advantage which the Netherton man may have in point of hard thumping. 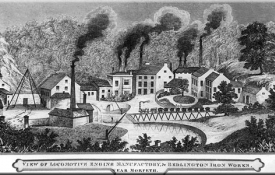 This exhausts the resources of Bebside proper; but many of the men live in various dependencies apart from the colliery, in property which is rented by owners from private individuals, and, as at Sleekburn, Seaton Burn and Scotland Gate, such property is much worse than any of the bona fide colliery houses in the district. Such a place is Kitty Brewster, a group of houses midway between Bebside and Cowpen Village, and here the sanitary condition of the place is wretched indeed. The houses which face the road are well enough, but behind the scenes may be witnessed which are as bad as anything to be seen in the county. One small square, with one overflowing ashpit and one ruinous privy is the backyard of a public house and six other residences. Beyond this again is another larger square, like one of the Seghill squares out for a ramble, eight or ten privies, standing like sentry boxes right in the centre, with three or four huge subscription ashpits which do duty for a population of at least a hundred individuals who live on all sides of these filth receptacles. Further down the lane towards Blyth is Cowpen Village where there is more disorderly tenemented property not in much better condition than at Kitty Brewster. From here we retrace our way through Bebside and go to what is still known as Bedlington Furnace, though little but the ruins of the old ironworks remain. Most of the houses, however, built for the men who worked in the old factory still remain in pretty fair condition, and are tenanted by men who work at Bebside. Even the Puddler’s Row and other houses across the river Blyth are rented by the Bebside owners for their men, and though in general these dwellings are comfortable and in good condition in some cases are very much the reverse. There is also a lamentable want of good sanitary arrangements, and a great tendency of overcrowding. In fact one block of property is so thickly populated that it is known as the “Barracks” and were barracks not so comfortable, well-arranged places these old houses would be very appropriately named. All the old offices of the ironworks are occupied as dwelling houses, and make much better habitations than some of the one roomed cottages which stand under the shadow of the Blyth & Tyne Viaduct, which here spans the Blyth. It is a wonder that the old fitting shop, which yet stands intact, and gives one a faint idea of what the factory once had been, is not converted into dwelling places for families, as with a little arrangement it also would make an excellent barrack large enough to accommodate a regiment of soldiers. Here also from the hill top may be viewed one of the finest pieces of landscape in the immediate neighbourhood – that is the beautiful valley of the Blyth, which here lies open to the eye as far up as Bedlington, whose square church tower is one of the principal features in the scene. Here we leave Bebside and its dependencies, trusting that when we next go that way a sufficient number of good houses will have been built in the village itself to give comfortable and healthy dwellings to all who work in the pit.